Typically, you see hot rods or muscle cars on the cover of our monthly California Car Cover catalog, but we wanted to feature some of our local customers who are just as passionate about their newer vehicles. Migel Armas, who owns the Scion FR-S, and Bernie Chacon, the owner of the Volkswagen Golf, are very active and well respected in the Southern California import and European car scene. We had some new products we wanted to feature in some cars and couldn't think of better guys to have out to the photo shoot. Migel's Scion FR-S 86 was one of the first 86 FR-S models produced. If you are not familiar with the Scion FR-S, it is a very tunable and customizable vehicle that was a huge hit at SEMA this past year. This special edition Scion has already been given a number of custom upgrades by Migel. Migel added a carbon fiber rear wing and front lip from Aero Jacket. The vehicle also has upgraded KW suspension components and a Tanabe exhaust system. I think our customers will really appreciate what is under the hood. The engine has been equipped with a Vortech Supercharger. You can read more about the supercharger upgrade on the Vortech website. Custom fit floor mats from Lloyd Mats. The other vehicle on our June California Car Cover catalog cover is the 2010 Volkswagen Golf TDI owned by Bernie Chacon. If you follow our blog or Instagram feed you probably have seen this car a few times. For the past few years, Bernie has coordinated the popular VW Oktoberfest in Big Bear, Ca, a popular VW event on the west coast. 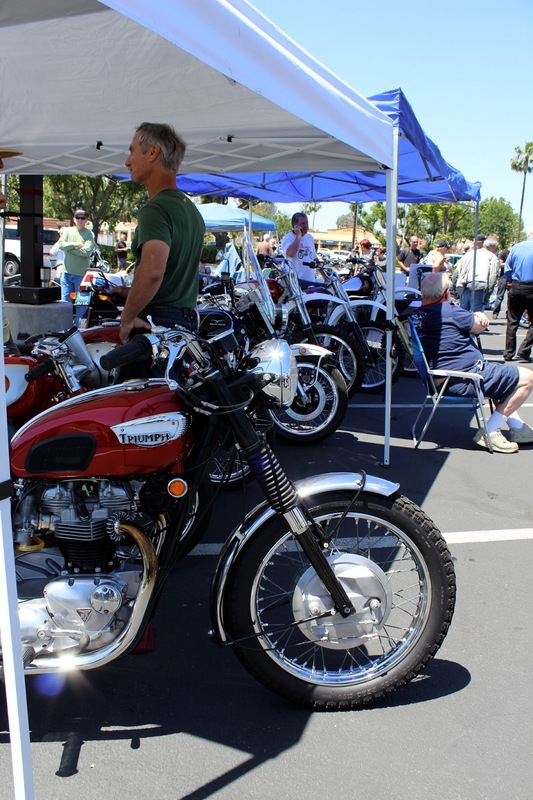 Additionally, he helps us promote and host our annual European Car Show, which has become one of the larger events held at California Car Cover. Bernie operates dub-Nation.com a popular website and social media outlet for Volkswagen enthusiasts around the country. The Volkswagen Golf looks stock, but features many subtle custom details. Empire Fabrication did all the body modifications which include emblem shaving, tailgate blend and a hood notch. 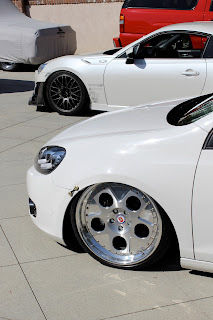 The Golf TDI also rides on custom HRE wheels and Toyo Tires. Bernie wanted to thank his wife Kristin and children, Kaeleigh and Bella, plus additional supporters: OEM Plus, Neuspeed, Auto Essentials, dub-Nation.com and eco-shine auto reconditioning. Follow California Car Cover on Instagram? If not, you should! Otherwise, here are a few photos from the photo shoot that we posted to our page. 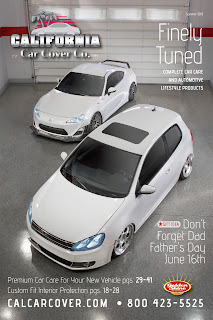 And here is the June 2013 California Car Cover catalog cover if you have not seen it yet. Follow our blog for additional photos and videos from all of our awesome photo shoots, plus product reviews and event coverage. You can stay connected with us on Facebook and Twitter as well. Father's Day is around the corner and I have put together a top ten list of items for any father who happens to love his car like it was a part of the family. All of these great items are available through California Car Cover. Does dad prefer two wheels to four? 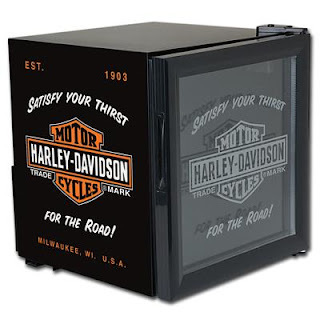 This licensed Harley Davidson beverage chiller will be a great addition to the game room or garage. This compact chiller fits perfectly on any counter. It has a nostalgic style and 1.8 cu. ft. of storage space to keep a case of drinks cold. Colorful logos on the sides and an etched glass door add to the signature Harley Davidson style. Get more details on the California Car Cover website. How about a neon sign? 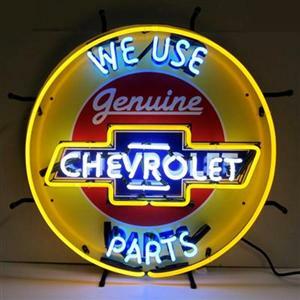 This Chevrolet Parts Neon Sign measures 24" wide and will look great in the garage. California Car Cover offers dozens of different neon signs for the auto enthusiast. Whether your father prefers autos from Chevy or Ford or would rather have a vintage oil companies marquee light up the garage, we have a sign for him. You can view all of our neon sign options online. Neon signs start at $299.99. Goboxes are a great duffel bag to use for detailing products or to just keep things in order in the trunk. 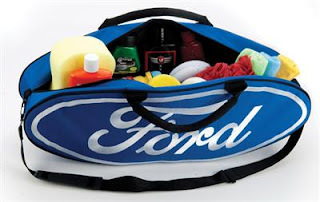 These durable bags feature a variety of licensed Ford or Chevy logos. The Chevy bags are even in the shape of the signature bowtie logo. Bags are only $29.99 and are available in a variety of color combinations. Is your father's office in need of a makeover? 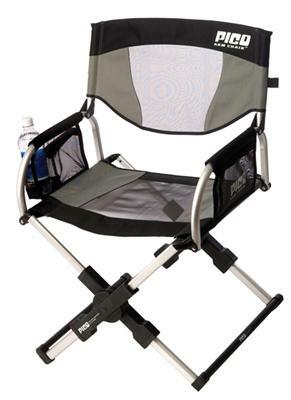 PitStop Furniture has a line of chairs, desks and accessories that will make any racing enthusiast feel like he is behind the wheel when he is behind the desk. 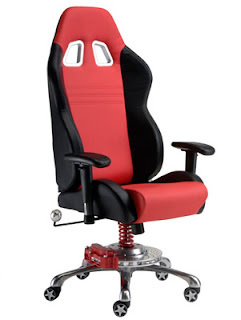 Racing inspired desk chairs that including tire tread pattern armrest and sport seat styling will be a hit with any car loving dad. See the complete collection on our website. 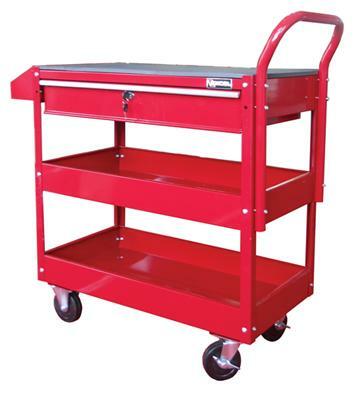 If dad does a lot of work around the garage, our popular rolling detail cart will keep all of his car care products and small tools within reach. The cart has a durable steel frame and heavy-duty casters for easily maneuvering around the shop. The padded top is great for working on small projects and the locking drawer keeps screwdrivers and small hardware within reach. 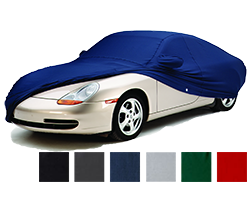 $139.99 at California Car Car Cover. 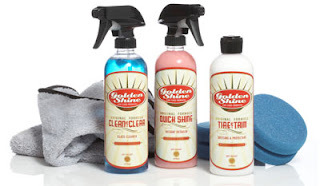 Any of our popular Golden Shine Car Care products will keep dad's car looking sharp. Our most popular kit is the Golden Shine Maintainer Kit. This kit includes everything to keep your vehicle looking great in between car washes. It includes a bottle of our best selling Quick Shine Detail Spray, Clean & Clear Glass Cleaner and our Tire & Trim Dressing. To help you use those products, you will also receive a 3-pack of our ultra soft detailing towels to use with the Quick Shine and a pair of tire dressing applicators. The kit is only $49.99 at calcarcover.com. 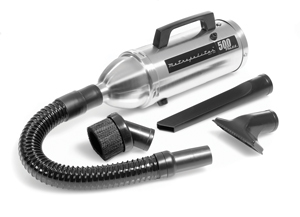 The compact, yet powerful stainless steel vacuum from Metro Vac will keep dad's vehicle interior clean no matter how much stuff he (or you) happens to spill. The vac has a 500 watt motor and several attachments that making cleaning floor mats, underneath the seats and upholstery that much easier. Available in either the 110 watt or 12V cordless for $79.99. 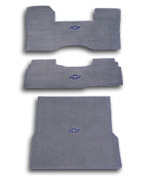 A set of custom Lloyd Mats carpet floor mats will improve the look of a vehicle's interior, plus are quite an upgrade over the factory floor mats. These mats use thicker, fuller carpet to provide extra cushion and support, plus can be embroidered with a number of licensed vehicle logos. Carpet not dad's style? Lloyd also offers berber carpet and rubber floor mats. The mats are available in 1,000s of patterns to make sure that they fit perfectly in your vehicle. Mats can easily be ordered online at California Car Cover. Lastly, you can never go wrong with a custom fit California Car Cover. It is a great way to keep dad's daily driver or stored collector car clean. We offer a variety of fabrics that will best suit any protection application. With a library of nearly 100,000 patterns we have a custom fit pattern for just about every vehicle on the road. Covers can be ordered easily online or you can call our phone sales dept at (800) 423-5525 with any questions about a California Car Cover. Not familiar with California Car Cover? We are a family owned and operated mail order car accessory company located just outside Los Angeles in Chatsworth, Ca. Our specialty is classic car accessories and protection products, but we take care of just about anything with wheels. Feel free to call us to get a free catalog of everything that we offer. You can always request a catalog on our website. The 3rd Annual Moto Concourso Motorcycle Show was held at Rock N Roll Cafe in Simi Valley, Ca this past Sunday. 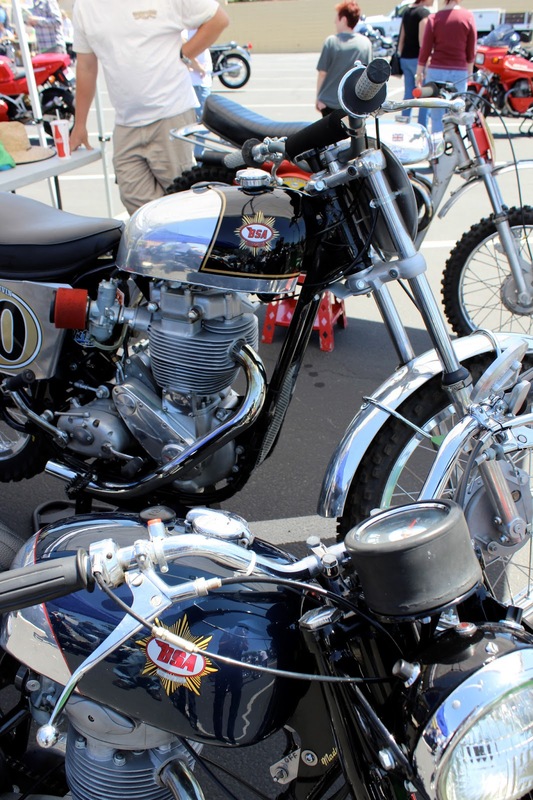 The event attracts a great mix of vintage domestic and international motorcycles to the area. Eric Reeves that puts on the event, does a great job of restoring motorcycles and many of his friends and customers bring out their bikes to this annual get together. 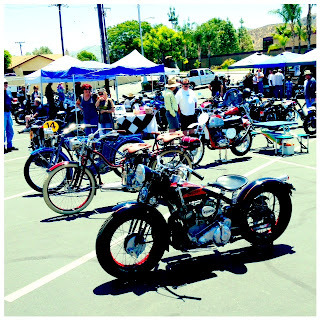 The last few years, Moto Concourso was held at the Simi Valley Community Center, but this year moved to Rock N Roll Cafe. It was a much better venue with the cafe serving up food all day, plus there was a live band playing classic rock all afternoon. 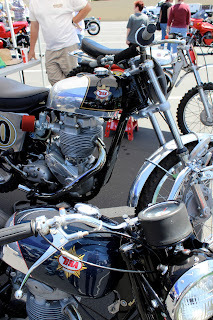 There were plenty of vintage BSA, Triumph, Moto Guzzi and Husqvarna motorcycles on display. The free show attracted a nice group of vintage motorcycles. 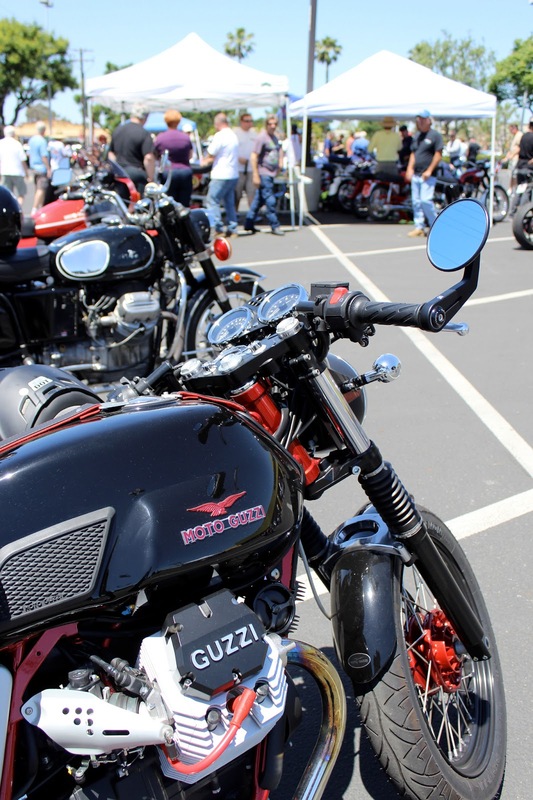 Many local motorcycle club members all road their touring bikes or choppers over to the show. 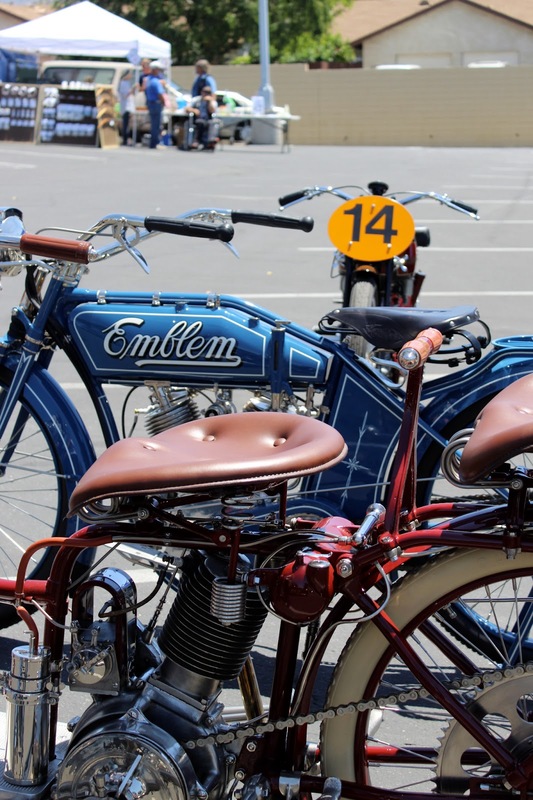 Recognize these bikes? 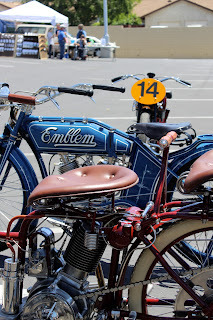 The New Era and Emblem motorcycles were on display at the Greystone Concours Show I attended a few weeks ago. 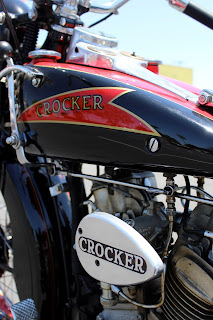 Check out my blog post on the Greystone Show if you want to see more photos of them or the other bikes on display at that event. 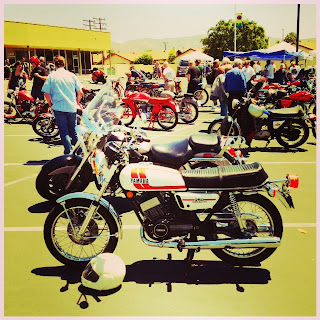 Here are a few pics from the show that were shared on our Instagram feed.